The organiser of London’s top annual ICE Totally Gaming event, Clarion Gaming, has revealed its plans to launch the first-ever ICE Africa exhibition and conference in October 2018. The move was encouraged by the company’s rousing Gaming Africa conference which was successfully launched in Johannesburg this year in October. Clarion Gaming will transition Gaming Africa into ICE Africa in a bid to develop the domestic industry. The director for Clarion Gaming, Kate Chambers confirmed the launch of ICE Africa. Chambers says that the company launched in the continent following a couple of industry requests to establish and organise a platform which Africa could be proud of. She says: “We applied the same level of attention to detail that goes into delivering ICE in London and, with the support of the industry, I am delighted to confirm that we will be delivering ICE Africa in October, 2018”. However, “while the scale of ICE Africa will not be the same as ICE London, we will be bringing the same level of commitment, thinking, creativity and professionalism that has made ICE London the world’s favourite and most international gaming expo” said Chambers. Clarion Gaming will transition the successful Gaming Africa into the first ICE Africa next year. Chambers says the event will be where the iGaming industry will network, see the latest innovations and share the best practices. ICE Africa promises to be a world class business event for Africa. 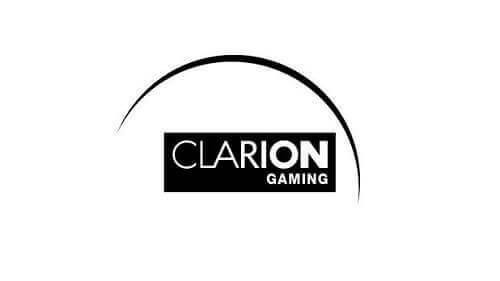 Clarion Events offers a variety of services in the iGaming industry. It provides conferences, professional training and information etc. to over 50 000 customers across the globe, yearly. Clarion’s customers include top brands such as American Gaming Corp; Caesars Entertainment, SA Gaming, iSoftbet, bet365 and Genting Casino. The company also hosts the popular international iGaming event held annually in London. Top Online Casinos wishes Clarion Gaming the very best on its ICE Africa initiative.